Rear shifters are of course used to shift gears at the back – that is to control the rear derailleur (RD in the future) which then moves the chain from one rear sprocket to the other. In this post, first there will be a short explanation of difference between friction and indexed shifters, then the compatibility of indexed shifters will be explained by three standards of the three biggest equipment manufacturers: SRAM, Campagnolo and Shimano. For each standard, it will be sorted by the number of “speeds”, that is the number of rear sprockets. This goes for both front and rear shifters. Advantage of such system is that it always works without fine tuning. It is the most robust shifter system. Disadvantage is that it is sometimes harder to get it just right manually – it takes some time and practice. They are compatible with all the RDs and numbers of speeds, but if there are more than 8 sprockets at the back, sprockets are more tightly packed, closer together, so it is hard to get the RD to align with the desired sprocket – smaller error margin. That is why they can’t be recommended for more than 8 sprockets. Indexed shifters have a number of pre-designed positions. One click moves/releases cable by a certain, pre-calculated amount. Number of clicks needs to match the number of rear sprockets (minus one, of course) and the amount of cable pulled needs to move the RD to align with the next sprocket. Additional complication is that various models of RDs move for various distance for the same amount of cable pulled (for 1 mm of cable pull, some RDs move for 1,7 mm, while others move for only 1,3 mm etc.). This needs to be considered when talking about compatibility. In the rest of this post, it will be explained which indexed shifters can be mixed with which RDs. If it’s not noted differently, it is understood that the number of shifter speeds matches the number of rear sprockets (10 speed shifter with a 10 speed cassette and so on). Number of speeds RD is designed for is more a marketing term – as long as RD movement and desired cable pull is matched with the shifter cable pull, all will work fine. This goes whenever combining shifters with more speeds than the number of rear sprockets. For example: 7 speed shifter with a 6 speed cassette and similar. Shifter will have more clicks than there are available rear sprockets. To prevent shifting to drop the chain off the cassette, RD movement needs to be limited with limit screws (this should always be done anyway, regardless of the shifter used). When the chain reaches the end of the cassette, shifter will have more clicks. Every indexed shifter has clicks for releasing and for pulling the cable. When setting up the shifter, it should be set up so that it can pull the cable all the way, leaving one or more click for releasing the cable unused. For example, 7 speed shifter with a 6 speed cassette should be set so that when it pulls the maximal amount of cable, the RD aligns with one end of the cassette, and after five clicks of cable release RD should be aligned with the opposite side of the cassette. This leaves sixth click for releasing the cable unused – RD will not move at all, since it will be limited with limit screws. Opposite setup would be so that when cable is released as far as it goes, RD aligns with one end of the cassette. Then, after five clicks for pulling the cable, RD will reach the opposite side of the cassette and the limit screw stop. This will leave one more click for pulling the cable available. Shifter lever will allow one more click for pulling the cable, while the RD will be stuck in place with the limit screw. If shifter lever is pulled for the remaining click, probably nothing will happen but the user will feel the lever not moving, resisting. However, since shifter mechanism is fine and sensitive and the RD can not move any more, pulling the lever could cause the shifter mechanism to break and shifter will no longer work. Reminder: if RD movement is not correctly limited with limit screws, it could “change” a gear so that chain drops off the sprockets completely, which can be a problem. Shifters compatible with “Shimano 2:1” standard. They come in versions made for 6, 7, 8 and 9 speed cassettes. SRAM 1:1 standard. They come in versions from 7 to 9 speeds. SRAM Exact Actuation. Available in 9 and 10 speeds for both road and MTB (shifter lever ergonomy differs for flat MTB and drop road bars), and in 11 speeds for road only. SRAM X-Actuation. So far only MTB 11 and 12 speeds versions are available. Each of these shifters works fine with any SRAM RD as long as they are by the same standard. In addition to that, shifters compatible with Shimano 2:1 standard can work with Shimano MTB RDs for 6 to 9 speeds and with Shimano road RDs for 6 to 10 speeds. Exception is Shimano Tiagra 4700 10-speed RD series – these will not be compatible. SRAM 1:1 is, judging by data, compatible with Shimano 11 speed MTB RDs, but I haven’t tested this in practice. Campagnolo has two standards per shift, called old and new. 🙂 Old ones are matched with old RDs, new ones with new. Since the amount of needed cable pull differs for each number of rear sprockets, there is no cross compatibility whatsoever. 10 speed new shifters work only with new 10 speed RDs. 8 speed ones with 8 speed RDs. And so on. Old standard comes in 8 to 10 speed variants, while the new one comes in 9 to 11 speeds. Apart from that, as of 2014 (don’t take my word for the exact year), campagnolo introduces another 11 speed standard. Previous Revolution 11 and the newest Revolution 11+. They are not compatible. One exception is that old Campagnolo standard, judging by data, should work with Shimano 11 speed road RDs, but I haven’t tested this. Other exception are the new Campagnolo 10 speed shifters. They can work with Shimano RDs for 6 to 9 speeds (and old Shimano road 10 speed RDs) and Shimano 8 speed cassettes. Cable pull of Campy 10 speed shifters is not the same for every gear change, there will be two unused shifts with an 8 speed cassette, but it can be made to work satisfactory. If it is any consolation, Campagnolo shifters are more robust, longer lasting and can be serviced, unlike other manufacturers’ shifters. Compatibility will be given per number of speeds, except for 10 and 11 speed shifters, where cable pull differs from road to MTB models. 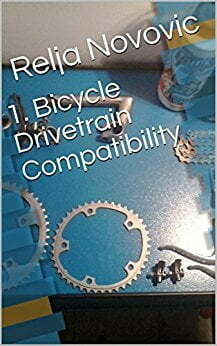 Shimano shifters, whether for 6, 7, 8, or 9 speeds are compatible with all the Shimano RDs for 6 to 9 speeds, and with Shimano 10 speed road RDs (not with 10 speed MTB RDs). They are also compatible with SRAM 2:1 RDs (that were in fact made so that they match the Shimano standard). 6 speed shifters will work well with 7 speed sprockets, but they will not shift onto one of the outer sprockets because they don’t have enough “clicks” (5 in stead of 6 needed for a 7 speed cassette). They can be set up so that they don’t shift onto the smallest, or the largest sprocket at the back, with everything else working fine. 7 speed shifters will work with 6 speed sprockets, but one “click” will be unused – will do nothing (read the important note at the beginning of the post if doing this). They can also be combined with 8 speed cassettes, but some gears might not work perfectly and there will be one unused sprocket at one end of the cassette, or the other. Similar goes for pairing 6 speed shifters with 8 speed cassettes. 8 speed shifters can work with 6 and 7 speed sprockets (read the important note at the beginning of the post if doing this). Since the required Shimano 8 speed cable pull differs slightly from the 6 and 7 speed one, shifting will not be as quick, accurate and there might be some chain noise in certain gears, but most will work fine. 9 speed shifters pull significantly less cable per click than 6, 7 and 8 speed ones. They can be combined with 6 to 8 speed sprockets (read the important note at the beginning of the post if doing this) if the cable is attached to the opposite side at the RD (see position B in the picture below). Then it will all work , but some gears might not work perfectly. Position B will cause RD to move more, which helps if shifter doesn’t pull enough cable. Shimano Dura Ace shifters for 6, 7 and 8 speeds will only work with Shimano Dura Ace RDs for 6 to 8 speeds. That means each shifter will work with each RD, as long as they are Dura Ace and built in the period from the heading (that is 6 to 8 speeds). Shimano 10 speed road shifters are compatible with Shimano MTB RDs from 6 to 9 speeds and with shimano road RDs from 6 to 10 speeds. With alternate cable attachment (position B in the picture above), they can be made to work with 9 speed cassettes. Shifting speed and precision will degrade, but it can wok. Exceptions are Shimano Tiagra 4700 road shifters that work with Shimano Tiagra 4700 RDs and Shimano 11 speed road RDs. They can only work with Shimano 10 speed MTB RDs. They work with Shimano 11 speed road RDs and with Shimano Tiagra 4700 10 speed road RDs. By data, they should also work with old Campagnolo RDs, but I haven’t tested this. Old Campagnolo RDs come in 8, 9 and 10 speed variants. They should work with 8 and 9 speed old Campagnolo RDs, as long as the cassette used is Shimano 11 speed road one. They work Shimano 11 speed MTB RDs. I haven’t tested, but they should work with SRAM RDs of SRAM 1:1 standard. They should work, as long as the cassette used is Shimano 11 speed MTB one. From summer of 2018 Shimano introduces a new XTR M9100 groupset. New shifters have a switch for 11 and 12 speed operation setup, but only work with new Hyperglide+ cassettes. For 10 and 11 new Campagnolo, this differs from click to click, the data is given on average.